Perhaps I am giving him too much credit, but I believe all Shyamalan films have a quirky charm that either the audience doesn’t appreciate or that Shyamalan can’t refine. We know that Shyamalan can be as mirthfully goofy as he can atmospherically cerebral, but sometimes both elements clash more often than they blend. The humor can overpower the story, creating weird fluctuations in the tone and undermining any attempt at emotional climaxes. Other times the high-concept ideas or themes never feel fully-developed enough to garner our appreciate. If anything, they tend to feel like we’re missing big parts of the story that somehow got trapped inside Shyamalan’s head and were never fully realized. Fortunately, “Split” shows us every part of its mind and the film is all the better for it. 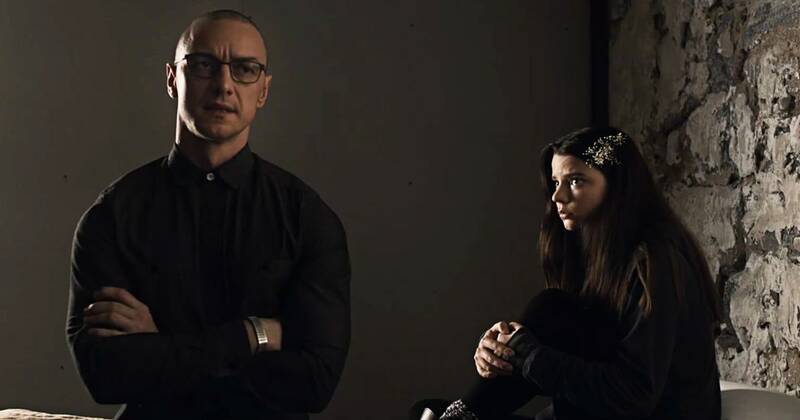 “Split” explores a severe case of dissociative identity disorder, but in true Shyamalan style, it is explored with a twist. Shyamalan introduces a fringe science element, which is completely in his wheelhouse, to a potentially hackneyed premise that has been done to death. This change in story throws the film into a mysterious metamorphosis that leaves the audience in suspense as to what will emerge at the very end. Shyamalan has finally found a great balance between his tone, pacing, and story. He has never had a problem building suspense in his thrillers but has often led his films to a conclusion that doesn’t come close to rewarding our patience or attention. In the past, Shyamalan has been guilty of throwing twists into his films as a way of disorienting the audience. Unfortunately, these often nonsensical endings turn out to feel more like non sequiturs than clever conclusions. “Split” offers us what few Shyamalan films have been able to deliver in the past decade: a satisfying ending. On top of the “twist,” which most of the audience knows is coming, we are given another, completely unexpected one at the very end that will excite any fan of Shyamalan’s older films (especially “Unbreakable”), and leave them in anticipation for his next project. Even with the masterfully suspenseful build up and the unabashed acceptance of the film’s more outrageous ideas, “Split” wouldn’t have had the enthralling effect without the performances. 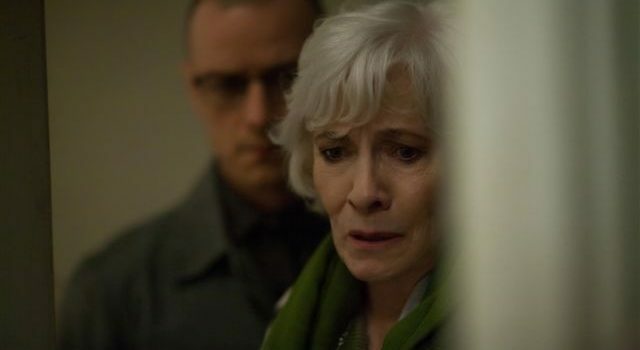 Anya Taylor-Joy and Betty Buckley both deliver compelling performances and prove to have the perfect chemistry to play off the more eccentric performances in the film. Without their adept and controlled performances tempering the tone and gravity of the film, the whole thing would have been a monumental and mediocre misadventure like so many Shyamalan has delivered in the past (SEE: “The Happening”). With the counterbalances (Taylor-Joy and Buckley) firmly in place, James McAvoy is able to let all inhibitions go and deliver one of the most ranged and entertaining performances of his career. As he scrolls through a Rolodex of dissociative personalities, McAvoy is clearly having fun and that energy is contagious. 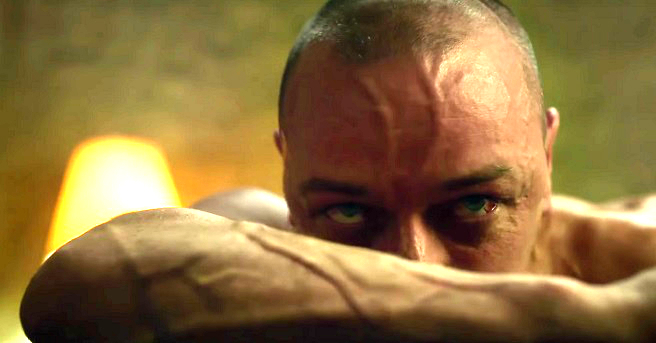 Not every actor has the skill to channel multiple characters in a single film, but McAvoy makes a massive impression on the viewer as you see him develop each character with their own set of mannerisms, facial cues and other finely tuned nuances that help the audience identify them, even when they are pretending to be someone else. It may not be perfect, but Shyamalan manages to display a unified front inside of “Split.” The film is undoubtedly full of character, combining the technical and thematic strengths of Shyamalan with strong performances to make sure every twist and turn captures our attention and holds it hostage, long after the film is over.